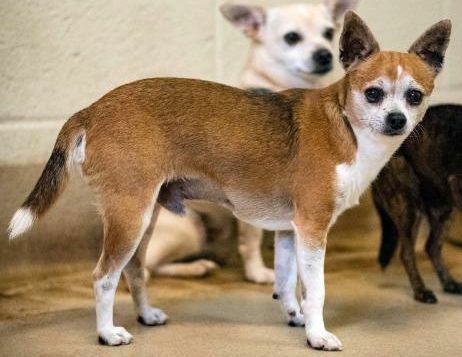 Notes: Rudy is a 4 year old male Chihuahua. He came in from a hoarding situation and is nervous but once he gets to know you he can be a great dog. Because of his nervousness, he would do best in a home with adults or older children only. He just needs someone to give him a little time, patience and understanding.